The Superman Authority News Blog! 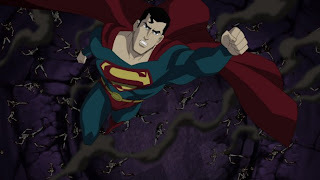 : Dc Universe Superman: Unbound Trailer! Dc Universe Superman: Unbound Trailer! Coming Soon to Blu-Ray and DVD! Man of Steel Movie Legos! Mattel Man Of Steel Movie Action Figures! New Funko Superman Domo Vinyl! The Superman Authority News Blog! Copyright © 2003-2013 The Legion Fan Network.